This one is a special treat. Not only is it the earliest big spider movie I’ve heard of, but it’s also one of the oldest surviving representations of a spider on film! It’s only eight minutes long, and one shot is badly damaged, but L’araignée d’or is a splendid example of early narrative film and special effects. Segundo de Chomón was born and raised in Spain, but moved to France after getting involved in making movies. His first job was color tinting frames for Pathé, a film production company that is still in business today. 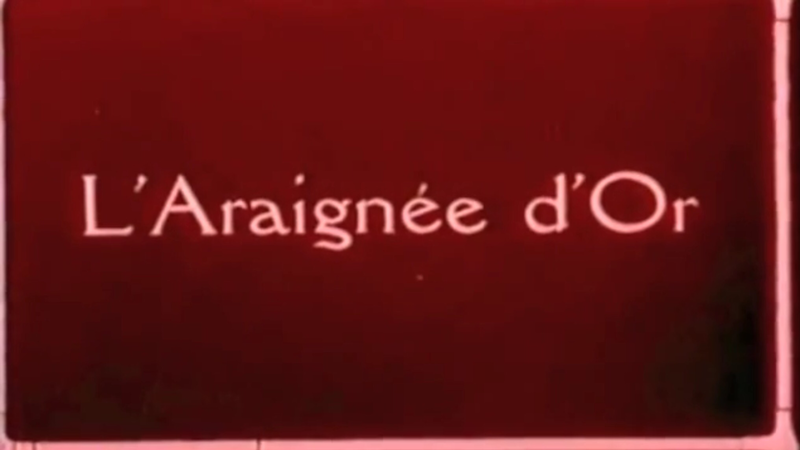 The company is credited with inventing the newsreel, the first one of which came out the same year as Chomón’s L’araignée d’or . 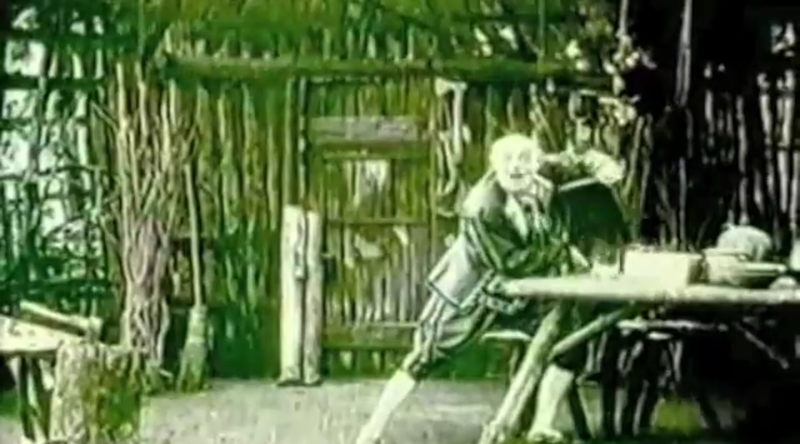 Chomón himself is considered today to be a rival of the renowned Georges Méliès, although he doesn’t have the same name recognition here in the States. I have no idea who the person at the door is or why they knocked. The plot is simple, as it would have to be for the short length. 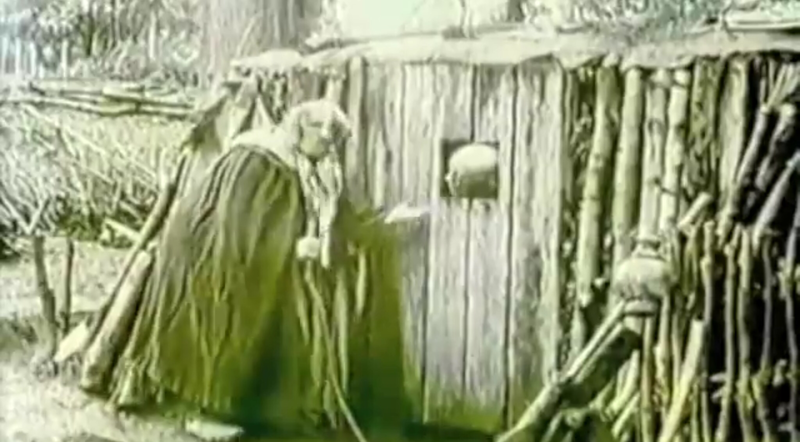 A man follows gnomes as they capture a spider and take it to their lair. To his astonishment, the creature spins gold and even cuts it into coins. After the gnomes leave their treasure room, he steals the spider, taking a moment first to peer at the other fantastic bugs on display. He has the spider spin gold for him, but before he can enjoy it the gnomes exact a fitting revenge. The man pours out his spider-spun gold to show the audience. It’s a short fairy tale put to film. The needs of the short format are an analogous constraint to the 4-8 page count of anthology horror and fantasy comics, and the resulting story-telling is likewise similar. There’s a setup, a commital action, and the unpleasant result. Moreover, an unbalanced amount of space is used for the wondrous elements. That is, after all, what the audience came for. 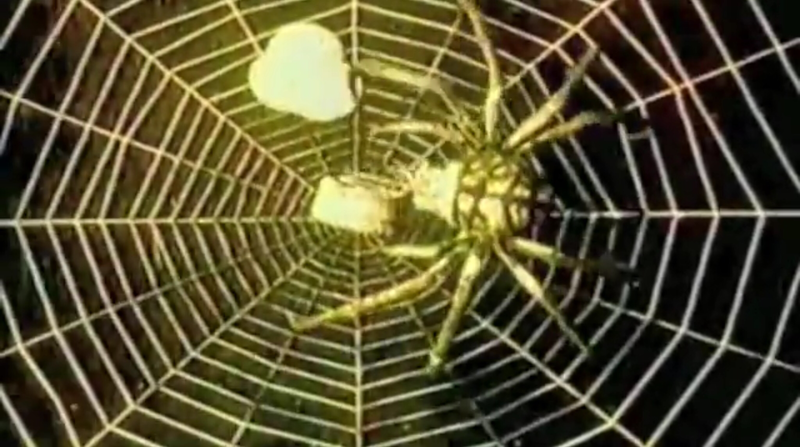 In this film, that means plenty of effects shots of the bugs performing their marvels. 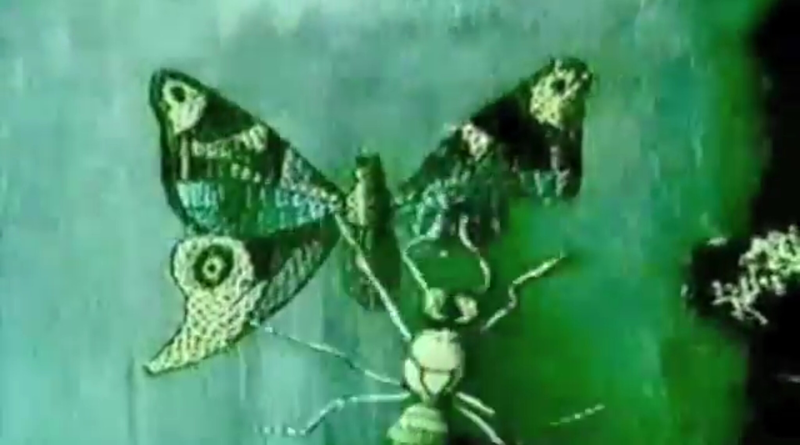 A stop-motion ant knits a lovely butterfly. We’re treated to two separate sequences of the spider creating gold coins, an ant working with bits of thread, a beetle painting, and a fly… making some kind of craft I can’t identify. All of it done in stop-motion animation using puppets. These scenes, more than the narrative are what make the film interesting, and I would assume that was true in 1908 as well (although film itself was still largely a novelty worthy of special excursions). The spider separates coins from the gold it spun. I’d like to comment on the acting, as it’s quite outlandish to modern eyes. The man follows the gnomes quite closely, to the extent that it’s laughable he isn’t noticed. Additionally he mugs gleefully to the camera, frequently gesturing at the gnomes and magical bug displays. This is behavior that evolved in stage comedy, where players frequently talked to the audience and things like safe distance for sneaking were assumed. One of the things I love about early silent film is seeing the transition from stagecraft to a new filmic language. 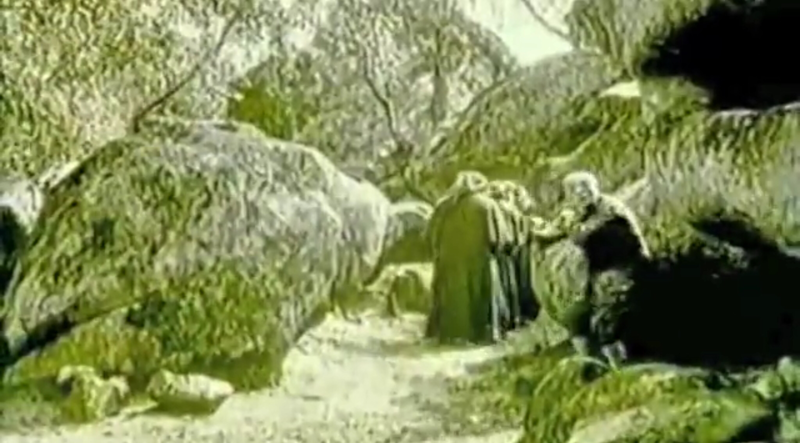 Here you can see acting and blocking traditions from plays alongside insert shots of animation only possible in movies. To a cinema junkie like me that’s really exciting! The man helpfully shows the audience the gnomes that he’s following closely. As a final note, the spider is barely larger than the biggest tarantula. For its historical interest and fantastical behavior I’m declaring that it meets the necessary criteria to count as a big damn spider. I mean, at least it’s actually a spider. You can watch L’araignée d’or for yourself on YouTube.